I'm not trying to officially endorse Monogram International after posting about their cool resin Freddy bank, but here's another neat-o New Line Horror license product from the company. I found these this afternoon at F.Y.E. for $2.99 each. 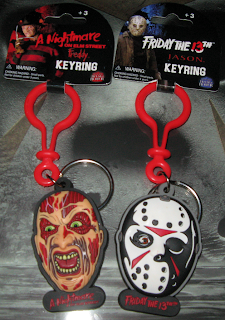 They also had an all metal Elm Street key ring for $5.99 as well. These two are cooler though with nice color and "3D" detail. The backs are black with each character's name and franchise in red lettering. 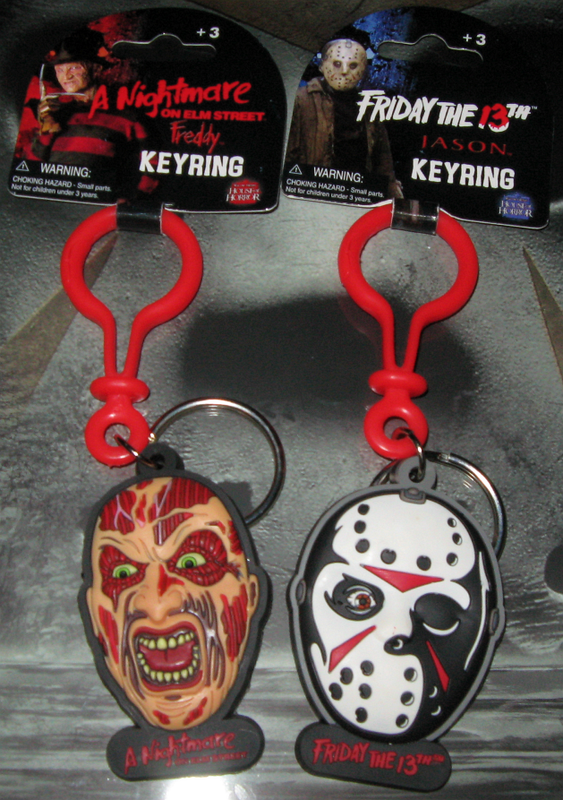 Being rubber, it's probably not a good idea to ever use these as actual key rings if you want to keep them as future collectibles. Nice! I'd definitely love to get my hands on one of those.